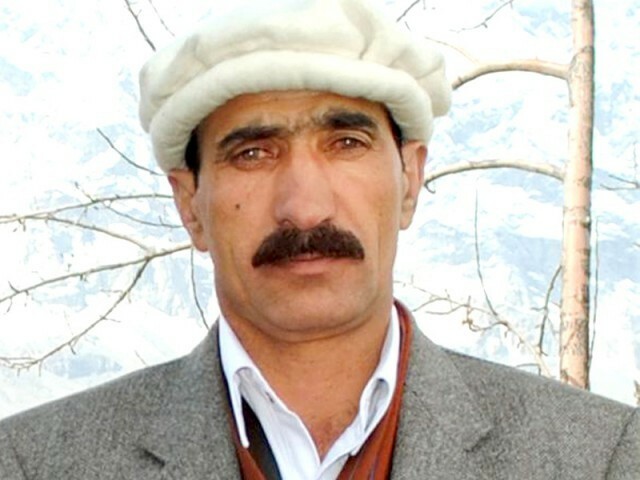 Hassan Sadpara born in 1963, is a Pakistani adventurer from a small village, Sadpara which is 7 kilometres from Skardu, Pakistan. He is the first Pakistani to have climbed six eight-thousanders. He climbed all six without supplemental oxygen. His ambition is to climb all the 14 eight-thousanders. The Fourteen independent mountains on Earth that are more than 8,000 meters (26,247 ft) high above sea level. He belongs to a backward area of sadpara, some 6 mils away from skardu city and a father of four children. He started his life in great misery and poverty. Hassan has no formal Education. He owns a shop of used cloths and mountaineering equipment. He started his mountaineering career in 1996, inspired by his father. 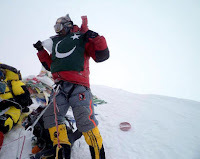 He is the first ever Pakistani citizen to summit Mount Everest WITHOUT USING SUPPLEMENTAL OXYGEN. Though 8 out of 14 still remains, but this surly will depend either on the support and funding from Government of Pakistan or some sponsorship by any multinational corporation. It won't be unfair to claim his capability to do that in minimum years as he only lacks financial support. He is the second Pakistani to have summited all 5 x 8000m peaks of Pakistan , after Mr. Nisar Hussain of Satpara village. Unlike most climbers from the West, who are equipped with state of the art climbing gear (and sometimes sponsored by multinational corporations), Hassan Sadpara started his career from a mud house with very few resources, and has climbed with whatever gear he could manage. In Jan 2009 he met with Pakistani President Asif Ali Zardari, along with fellow K2 climber Shaheen Baig, Nazir Sabir. The president appreciated their efforts and assured them he would extend all possible support for the Mount Everest expedition in 2009, which is planned to proceed without supplemental oxygen. 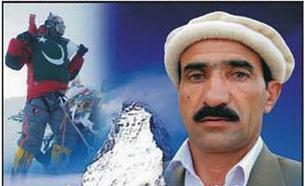 On May 12, 2011, He along with 4 other team members become the third Pakistani to summit Mount Everest. The first two were Nazir Sabir and Muhammad Faizan who climbed this peak on 17 May, 2000 and 22 May, 2007 respectively. However, Sadpara has the distinction of being the first ever Pakistani citizen to do it without using supplemental oxygen. He has worked as a porter for various expeditions, including ones led by Koreans and Poles. He also runs a shop for second hand and new mountaineering equipment in the Skardu bazaar. § K2, which is 8611m, in 1994. § Nanga Parbat, The Killer Mountain, which is 8126m in 1999. § Gasherbrum I (G-1), which is 8080m in 2006. § Broad Peak, which is 8051m in 2007. § Gasherbrum II (G-2), which is 8034m in 2006. § Mount Everest, The Higest Peak of the world, which is 8848m on May 12, 2011. It was his dedication and self confidence that let him to the summit of world's highest peaks. This shows that our people have determination and courage and can do anything what they want. Welocome of Hassan Sadpara in his Home Town, Sakardu, On returning to home, After Conquering Everst.